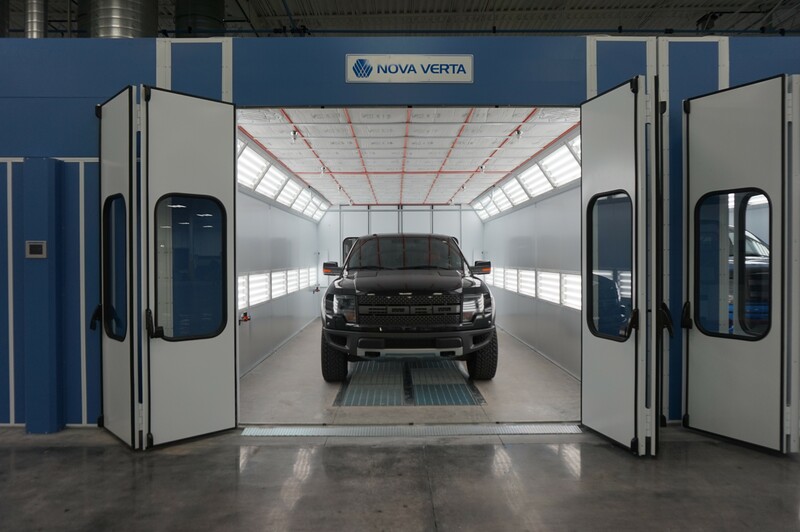 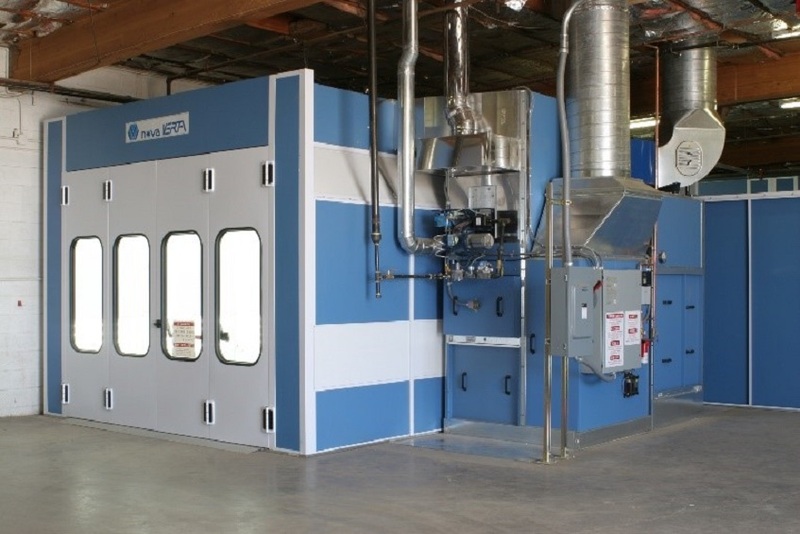 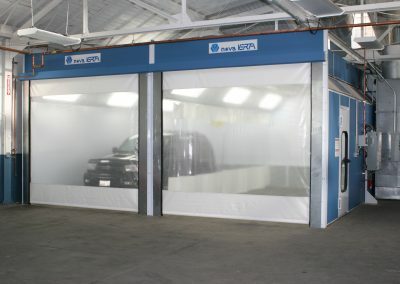 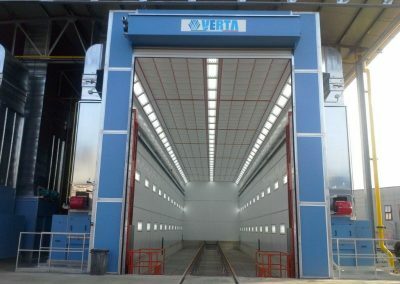 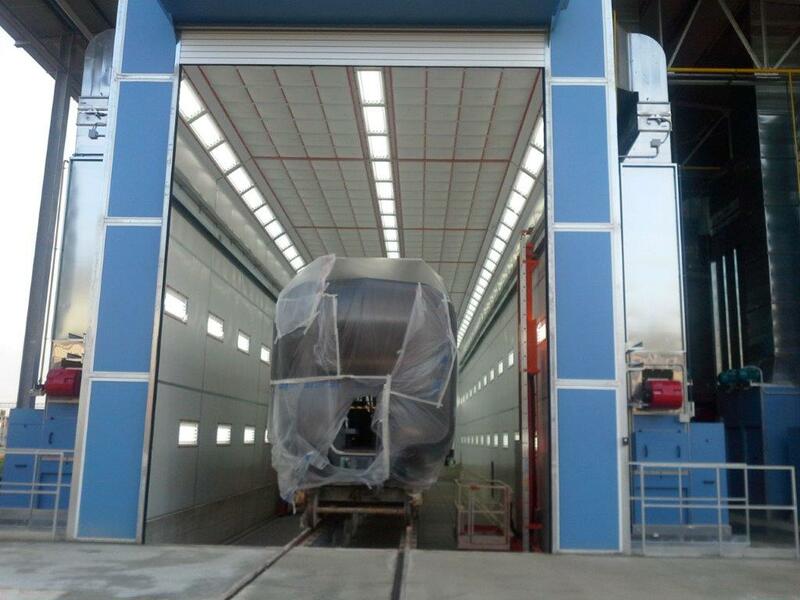 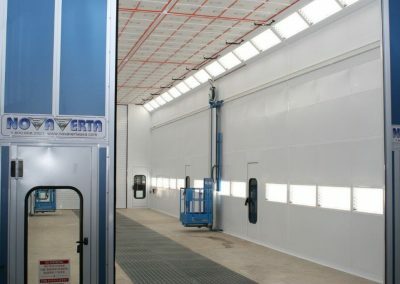 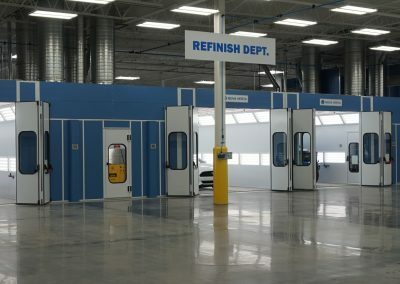 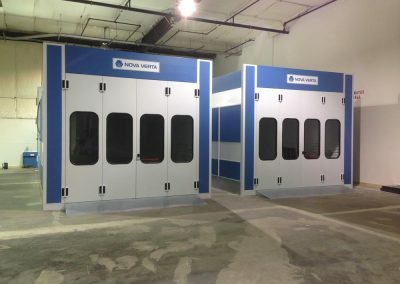 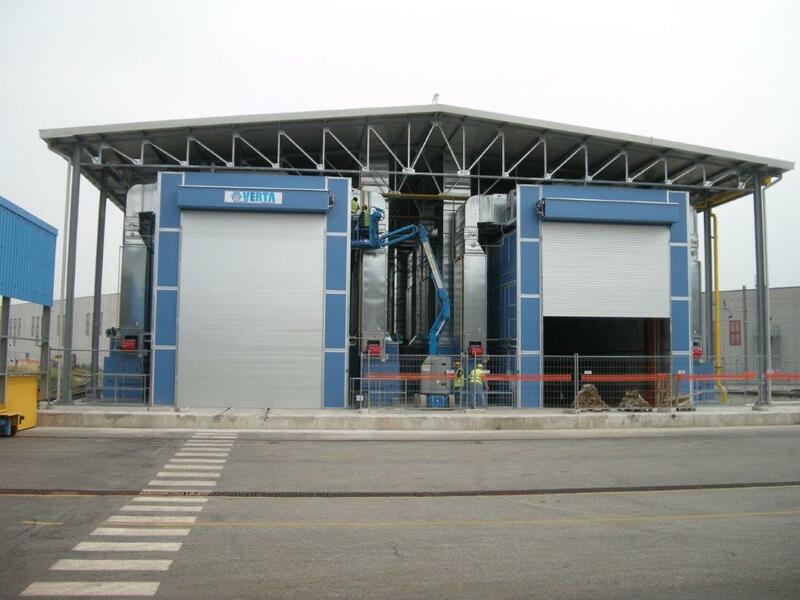 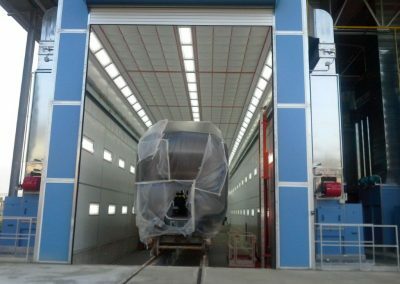 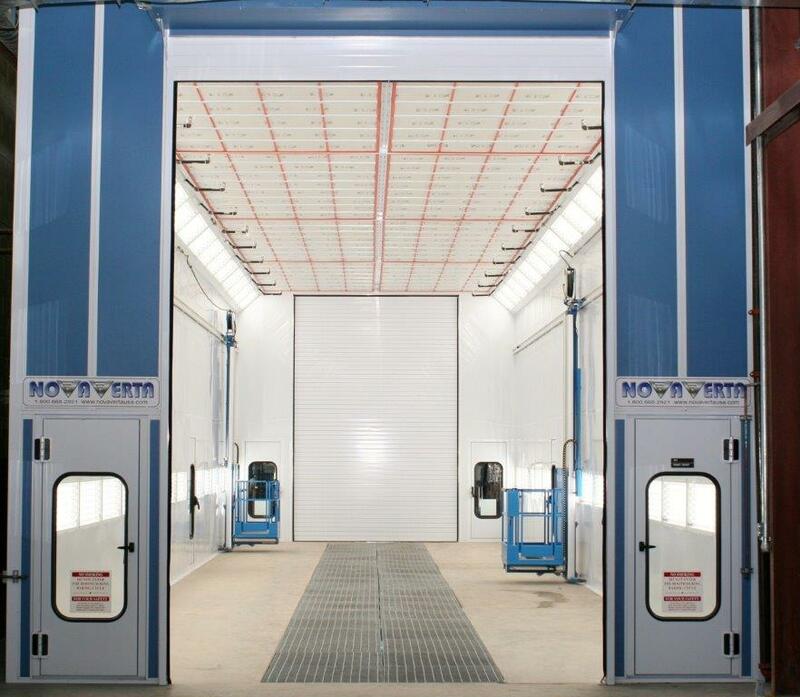 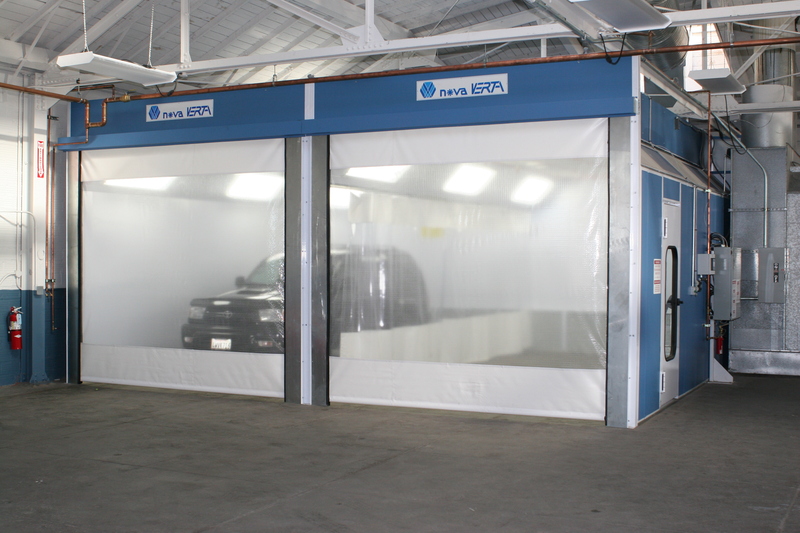 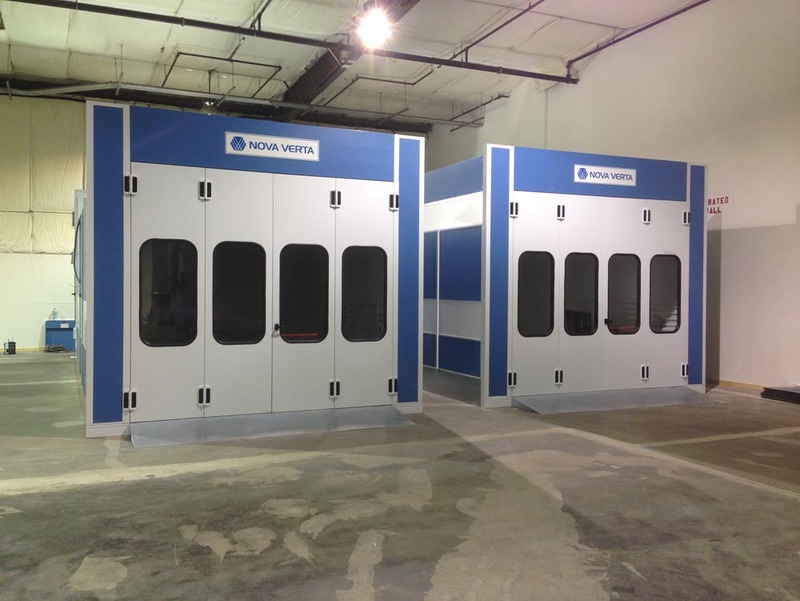 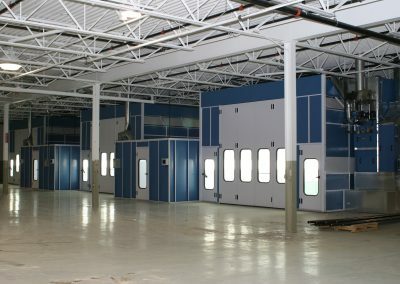 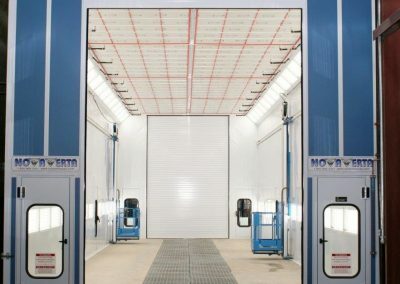 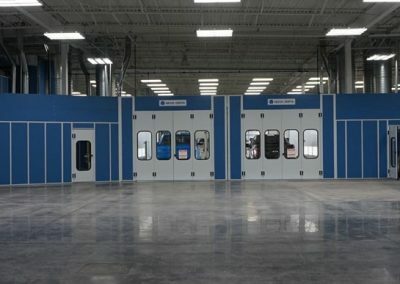 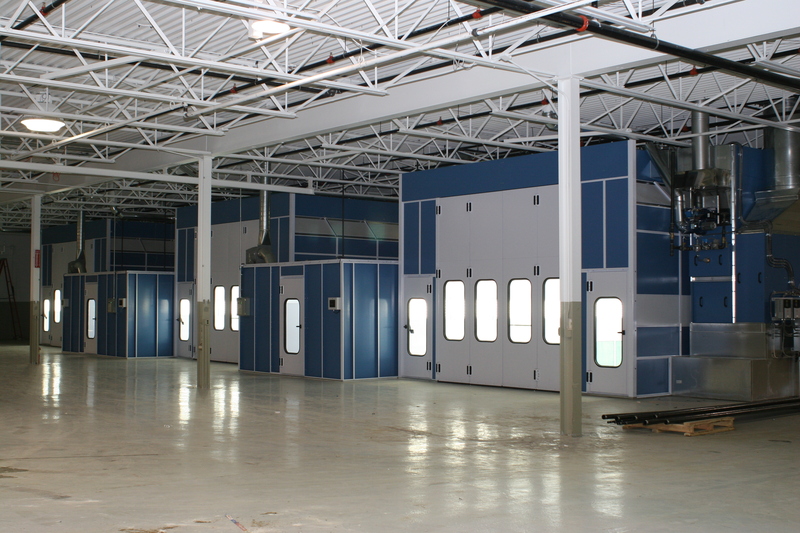 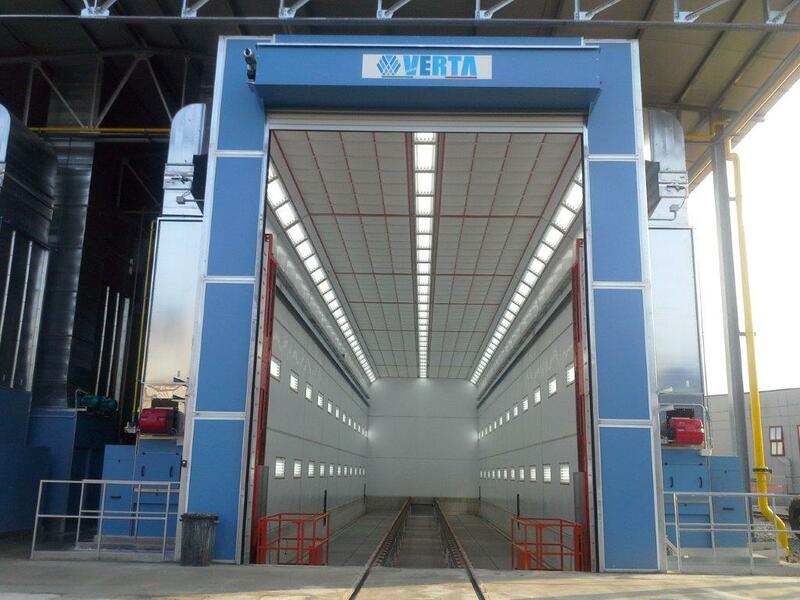 The Raptor Series Paint Booth from Nova Verta is designed to sustain optimum paint conditions with the most energy efficient technology available on the market today. 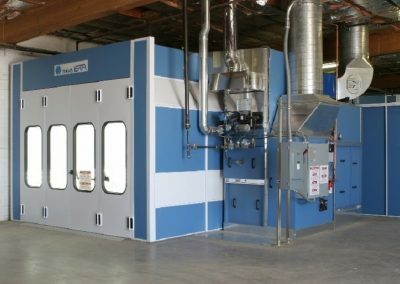 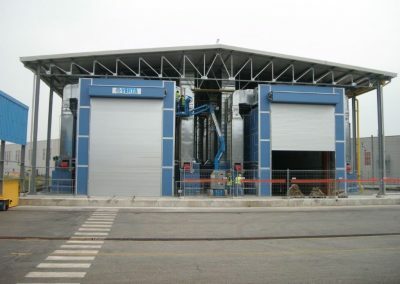 It is configured to maintain consistent airflow to speed curing time with high-quality PLC controls, indirect heating, and a variable frequency drive on the exhaust fan. 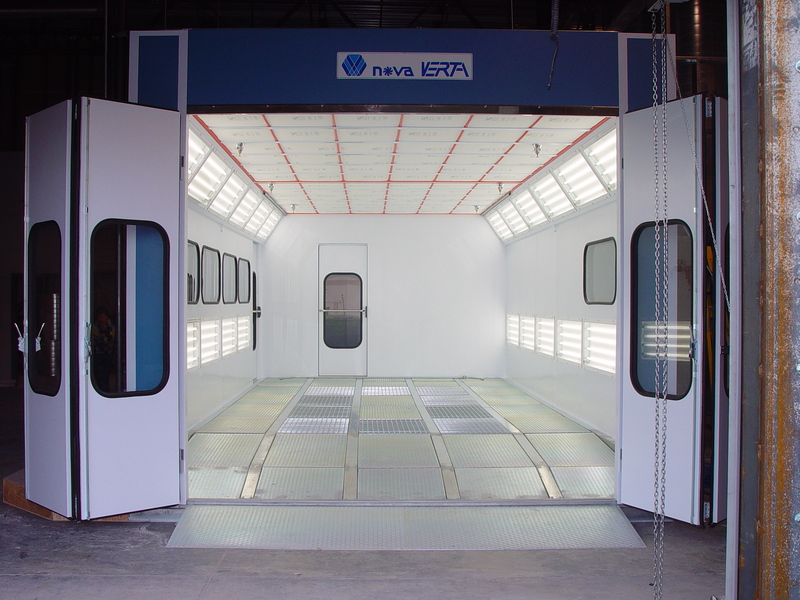 This booth brings much more than pristine illumination for your application. 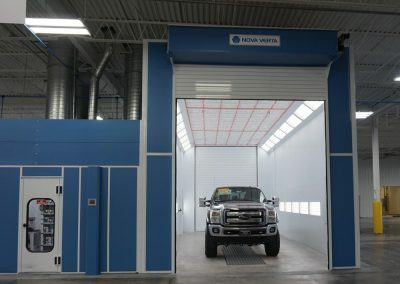 A Raptor Series system beats the competition every time because it has three operating modes that will outperform any other system in its class—the cost-effective benefits are incalculable. 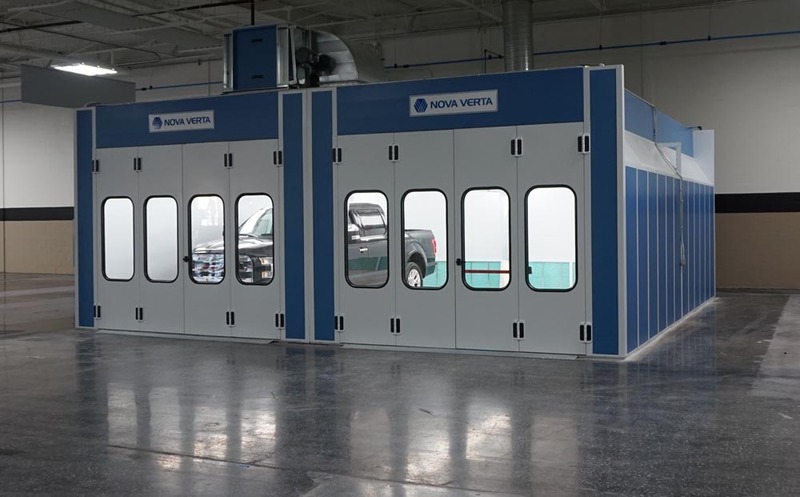 A Raptor Series is unique in its capacity to cut down on energy consumption with three distinct operating modes, but what really proves its quality are the superior manufacturing standards of Nova Verta. 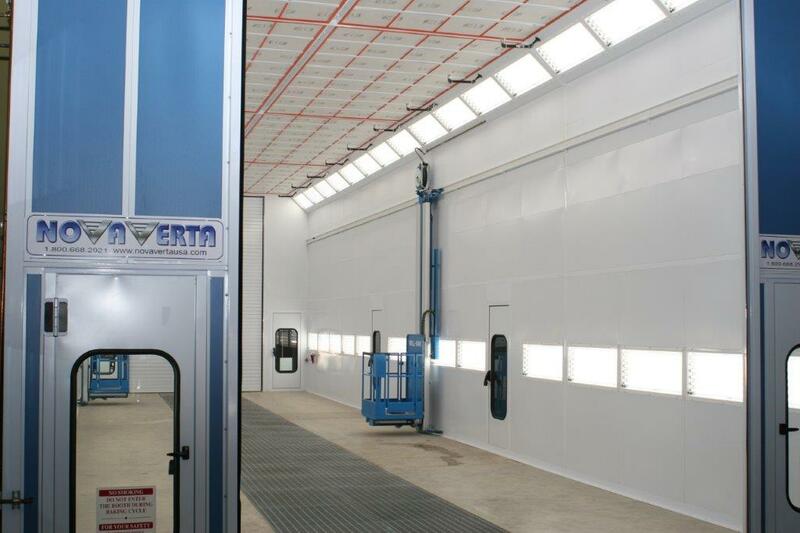 The Raptor series interior is designed specifically for overall illumination to reduce light output interference and eliminate shadowing. 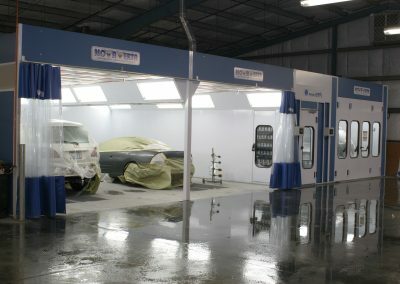 Each booth comes with no less than 10 Class 1, Division 2 light fixtures with six color corrective tubes in each fixture. A Raptor 27′ Series booth is equipped with eight horizontally mounted fixtures at the hip and four horizontally mounted on the side walls. Large booths offer even more light fixtures. 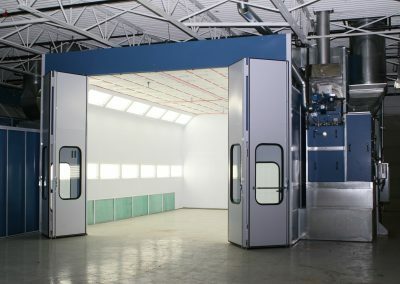 We feature Allen-Bradley Touchpads with a three-inch display, making the Raptor series easy to operate by simply scrolling to change parameters like temperature values and cure times. 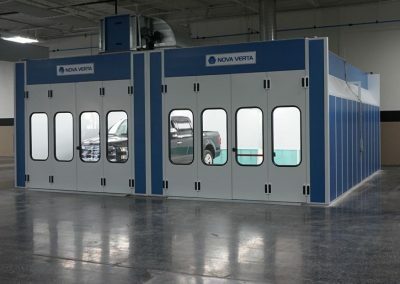 Self-diagnostic screens indicate corrective measures to keep the booth operating for optimum performance. 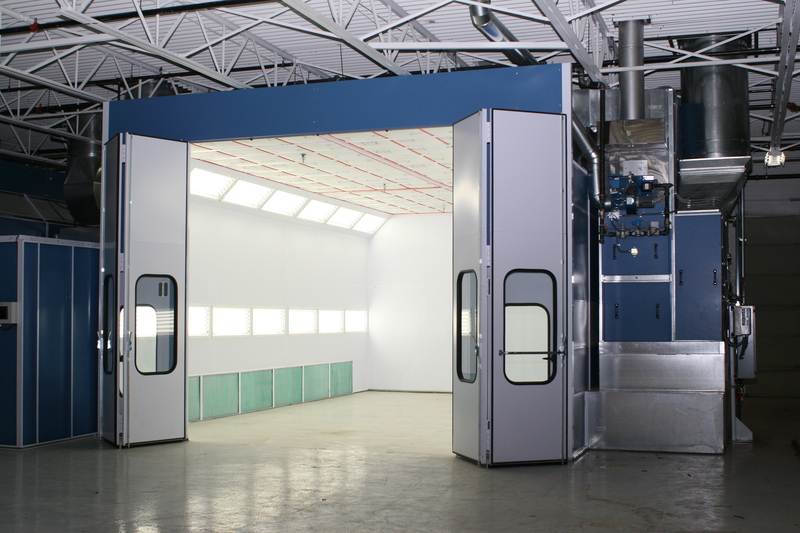 The Raptor series is designed to minimize operating costs with built-in tracking and screen readouts for booth hours, cycle hours, booth pressure and temperatures. 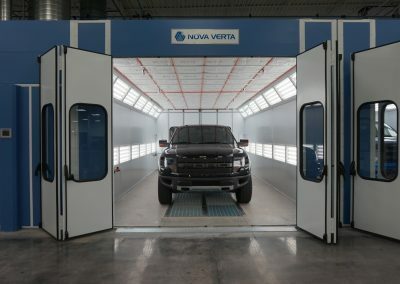 Between the Touchpad and data display, you can keep total control over the booth’s performance.